Реализуем доску обрезную, брус. Пиломатериал. Дисковое пиление. Есть все виды распила. Имеется паллетная доска (заготовка), поддоны. 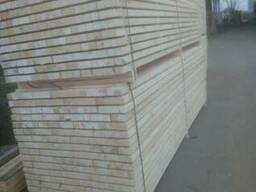 "The research and production enterprise "BelPribor" is Belarusian producer of sawn timber, including raw materials for the production of pallets. 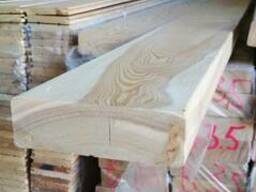 We carry out all complex of works on wood harvesting - from a wood roll before cutting tree, at his own sawmill, edging, unedged board. 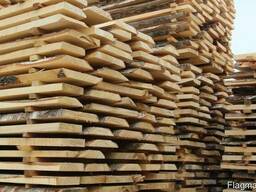 Our production is equipped with high-tech European equipment that provides a consistently high forest production. We are ready to produce high-quality, environmentally friendly products for foreign enterprises, so to become your Belarusian supplier lumbers'. We will provide the necessary volume of the pallet Board, ensure regular supplies, transparent working conditions and competitive prices. We also solve logistics issues. We will be glad to cooperate with you and we are ready to answer all your questions about the upcoming joint work.